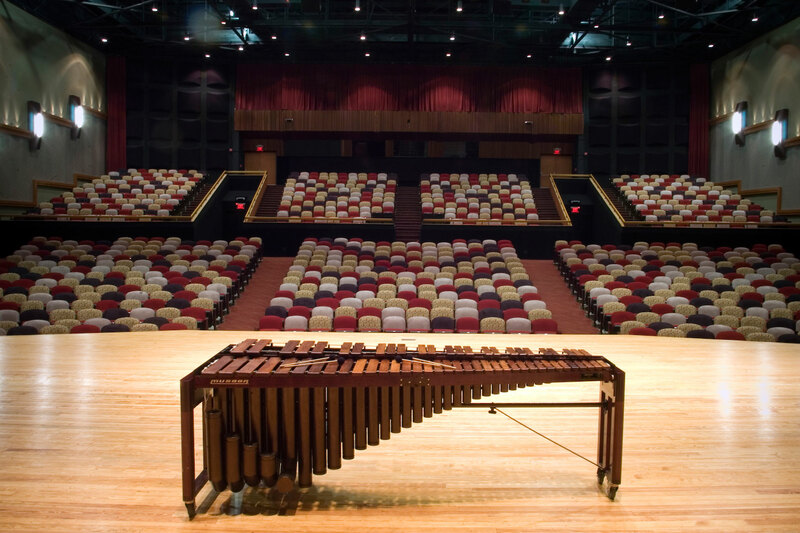 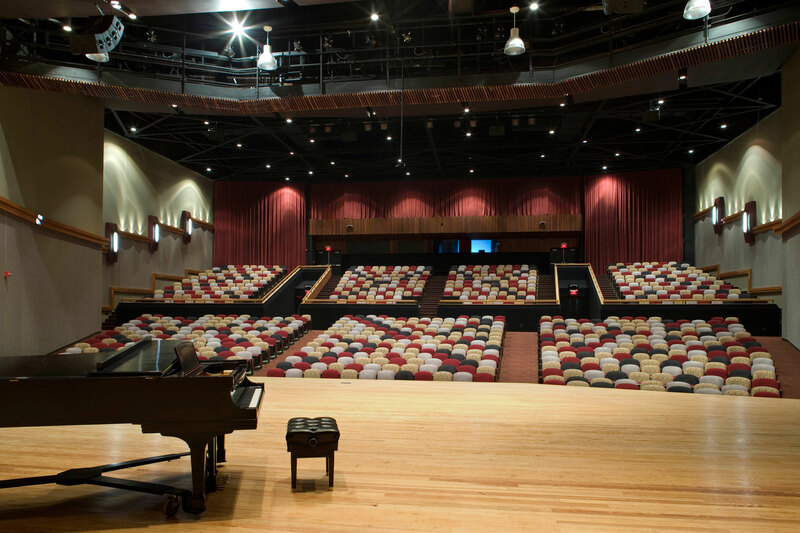 Originally constructed in 1975, alterations to the 944-seat theatre included new finishes, seating, stage rigging, sound and lighting systems. 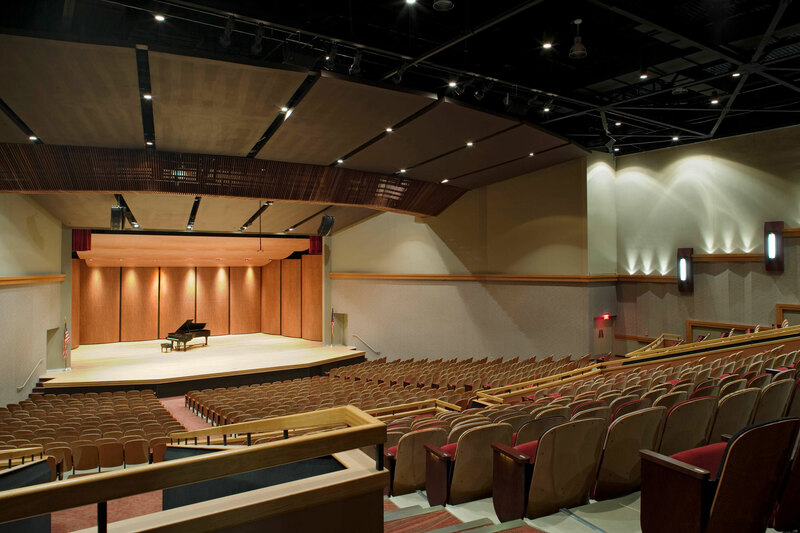 The rear side walls received a specially-designed baffle system to reduce an echo effect with integral lighting to wash the walls of the seating area. 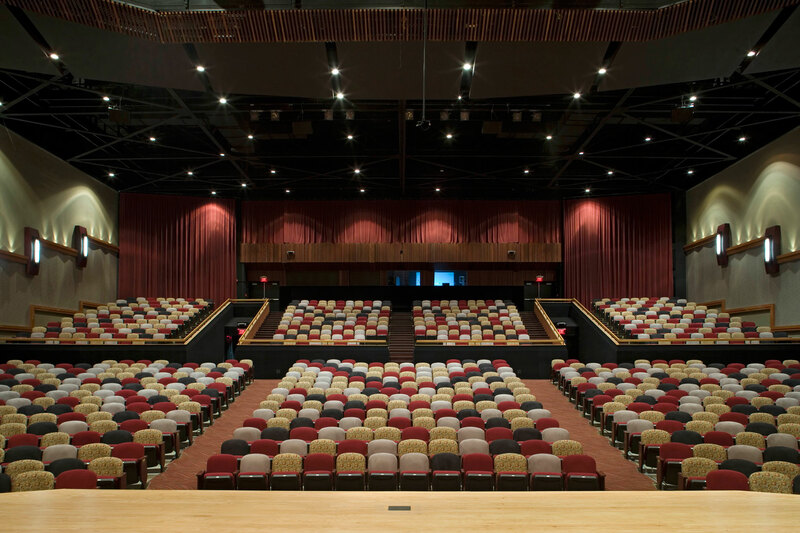 The finishes of the seats are a blend of solid and patterned fabrics to project the feeling of a “full house” to those on stage.